This is a page from my set of 18 puzzles. If you like it, please click here for the whole set. 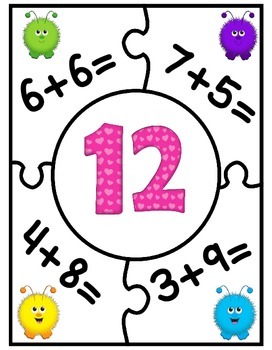 I have created 18 different addition facts puzzles. I suggest that you break into 2 or 3 different groups of 6 or 9 puzzles each so that it is not overwhelming. You could include more for advanced learners.